Good. 0099529122 ALL BOOKS SHIPPED WITHIN 1 DAY OF PURCHASE! The copy I received was better than expected. 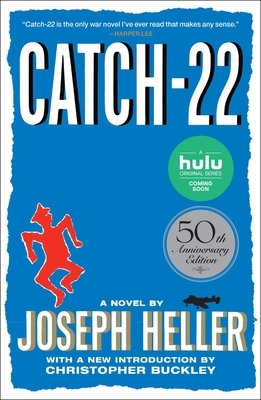 This book is a classic and a must to under stand the origin and meaning of "Catch-22" so commonly used in our language today. Once you have read this book, one realises that the widespread use of "Catch 22" to describe a situation so often; could not be further from the truth of the definition as described in this book. There is nothing to review. A Great book and a Great writer. I lent my copy and never got it back. No bookcase should be without one and so I have replaced mine. It should be read every three years on a regular basis for its humour and insight into life and human frailty. Joseph Heller only wrote one book worth reading, but it is very good and a joy to read. My only paperbac k copy is long worn out and I had to have a good hard copy for my library. This book is packed with hilarious characters from Yossarian to Major Major Major. It is written in satire form allowing it to present a ridiculously extreme story based on what would have been current events in Heller's time. While it is admittedly a style so unconventional it turns away many readers, I found it exquisitely fascinating and promptly read it twice through. The randomness of the conversation and plot is bothersome to some folks however I personally enjoyed it immensely, especially style of logic used by many of the soldiers.